I describe myself as a morning person. I basically am but when I’m going to bed late during the week from watching tv, movies, cleaning, homework (previously) I tend to be less of a morning person than what my true nature is. Sleeping in on the weekends is about 8.30. I love to be out to in the summer gardening or reading a book in our backyard. I just feel that you are missing the best part of the day. 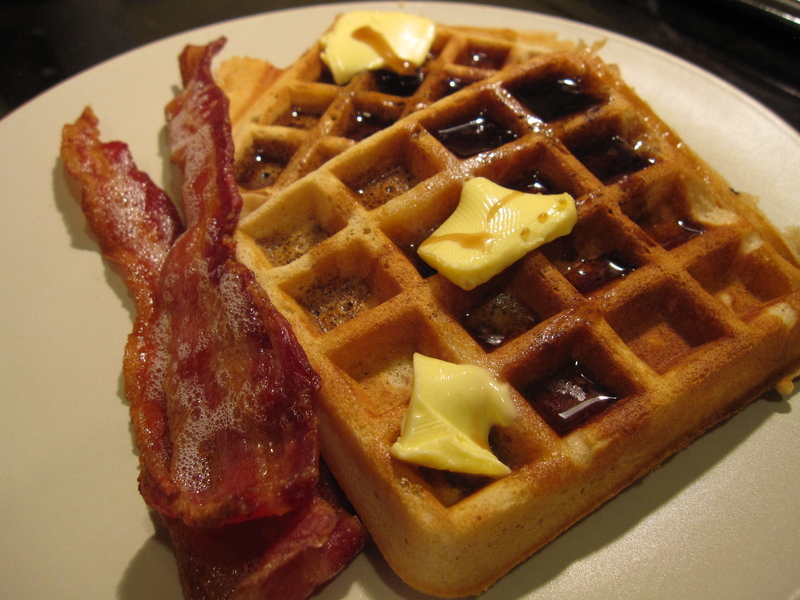 Yesterday was International Waffle Day so that means the best way to ‘celebrate’ is to enjoy some waffles. Well, even with being a morning person I still could not pull myself together to make waffles for breakfast. I also did go out to Shecky’s on Wednesday and it was the first time that Emily and I actually really drank at this event. Plus I really think that waffles are a special occasion breakfast. It goes against my daily yogurt/muesli/ fruit routine. So waffles at dinner would have to work. 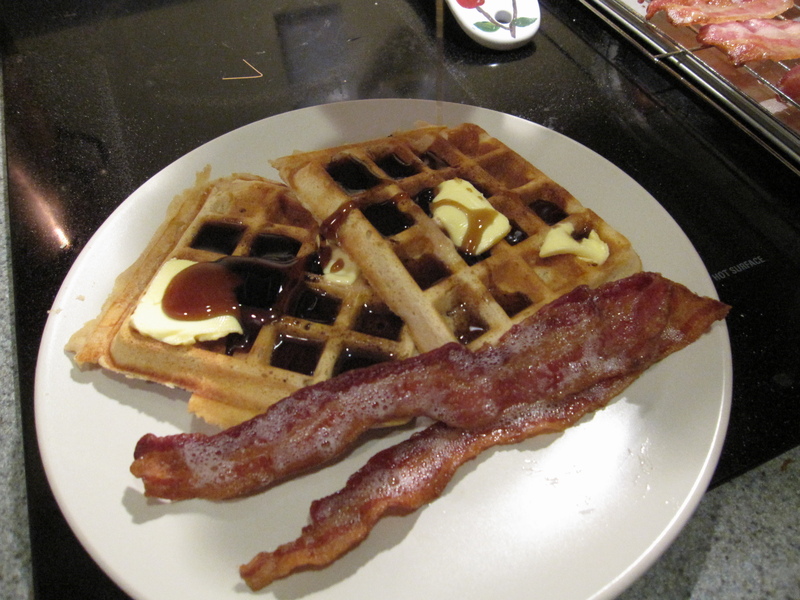 I love the Buttermilk Waffles I typically make and I loved the Bacon Chocolate Chip Waffles too. 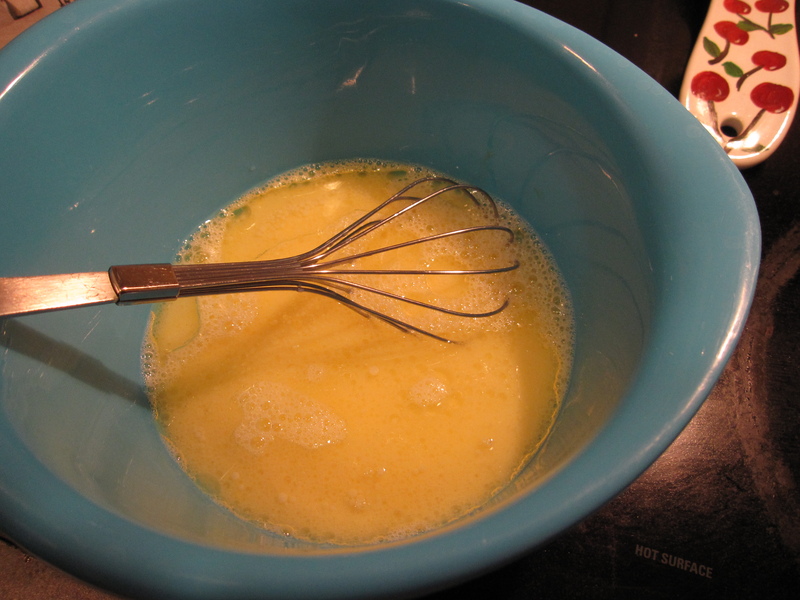 But the first uses a crazy amount of butter, of course that is what makes them amazing! And the second, bacon + chocolate, ‘nuf said. So I decided to try a healthier approach this time. I used King Arthur’s Recipe for Hearty Whole Wheat Waffles. The waffles were really simple to get together and came out well. They were plain and clearly tasted like whole wheat. I think that adding some cinnamon would really enhance this recipe, but it would depend on the taste you want. Or just serve them with fruit or bacon! Price made himself some bacon that we cooked in the oven on a cooling rack on a cookie sheet. Bacon is bacon but this way the fat drips away and cooks evenly from top and bottom. Plus he was happy with this breakfast for dinner idea since it gave him leftovers for breakfast today. Def nice to have when it’s (briefly) snowing out at the end of March! 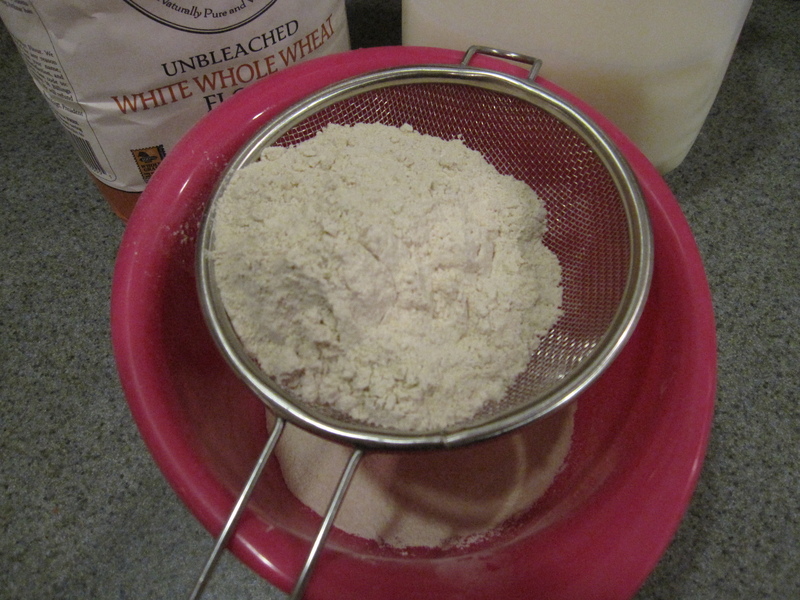 Mix together the wet and dry ingredients, stirring just until combined. I’m hungry just looking at your waffles !! My yogurt for breakfast will now be a total disappointment !!! and the BACON, oh my goodness !! – why did I have to have the cholesterol gene ! Ahh that’s Price’s bacon. He did teach me how to bake it, but that is his job. Hi Nicole! 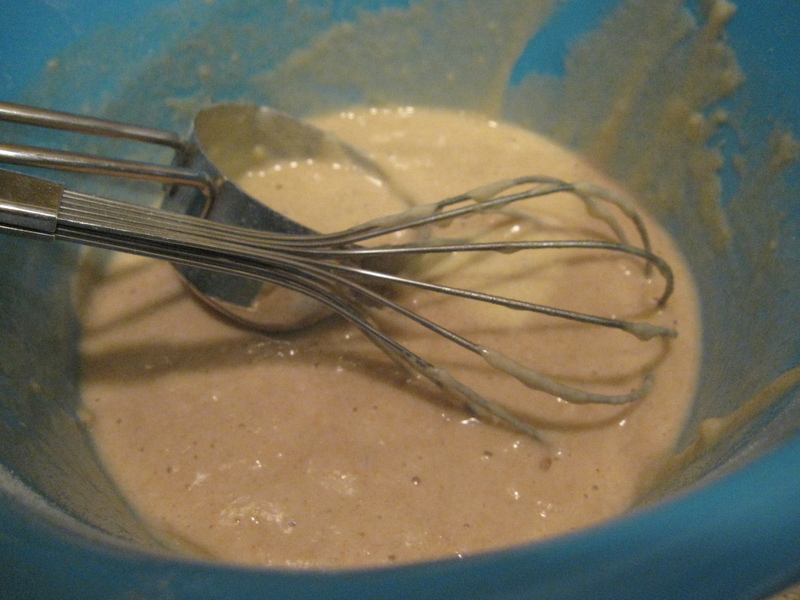 Just wanted to pop by and let you know I had your blog for this month’s Secret Recipe Club. 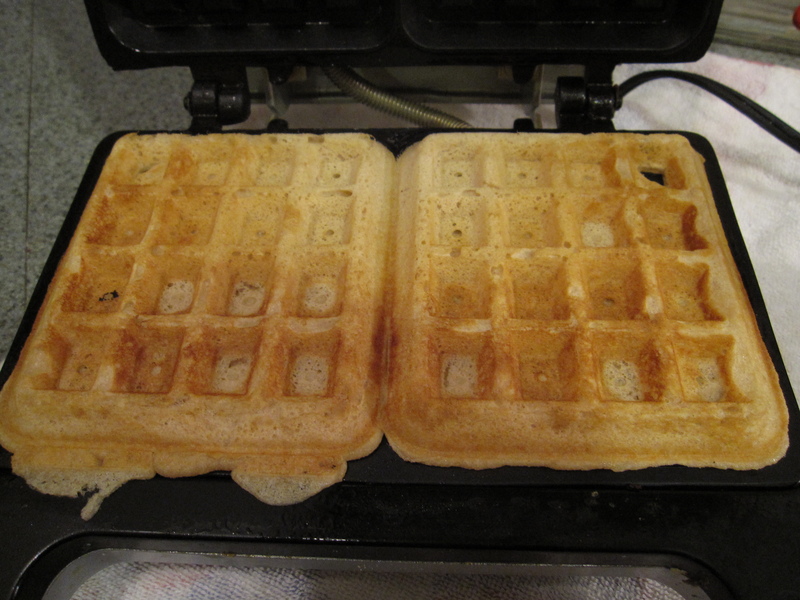 I made your Whole Wheat Waffles and they were a huge hit! Thanks for sharing!